In a previous post you wrote that neither of your children are disadvantaged “simply because they have an Aboriginal father” and that they do not fit the ‘stereotypes’ associated with Aboriginal kids in central Australia. However, would you agree this does not make them any less Aboriginal? They are still entitled to be proud of their heritage. And in this blog post, I'd like to begin to attempt to answer that question, but I'm afraid I'll pose many more in the process. First, I think we need to be allowed to discuss what Aboriginality is? How can we even answer who is less or more Aboriginal, if we don't have an opinion first of what it is to be 'Aboriginal'. The thing is, Aboriginality (or being Aboriginal) means different things to different people, and a majority of those opinions I've been lucky enough to have shared with me in no way fit with the current three part definition that makes up our current law. For some, to be Aboriginal means that you speak your traditional language, live on your traditional land (and understand how it was and is passed to you to care for), follow lore, perform ceremonies and know the stories of your creation. To these people, my children would both not be considered 'truly Aboriginal' and neither would I. Just of descent from those who once were. For others, to be Aboriginal is an identity you have been given, whether chosen or not. By virtue of appearance alone, an inescapable identity that singles you out from others - whether positive or negative. For yet others, being Aboriginal means that you have discovered a relative in your family tree who was identified as being 'Aboriginal' at some point, and therefore accept a previously unknown identity and adopt that in part or in full - due to pride, or a wish to 'belong' or a genuine interest in family history and Aboriginal culture, right up to the more sinister motivations like financial advantage or power seeking. For a few, Aboriginality is about race. The recognition that prior to the arrival of the various waves of people to these shores, there were a race of people scattered upon this country who shared genetic traits, practiced various rituals that often differed from tribe to tribe - collectively known as 'Aborigines', and that the bloodlines and traditional practices stemming from these people have either been diluted or maintained. How Aboriginal you are depends on your mathematical blood quotient and their cut-off marks with what constitutes cultural practices. I don't speak language (hasn't been the practice in my family since my Great-Grandparents), live in the suburbs and would completely agree with traditional Aboriginal people when they say they don't see me as truly Aboriginal. By their standards, I'm not, and I understand and accept that. My children wouldn't be either. Although I've never been mistaken for anything other than Aboriginal, and despite my genetic lineage, Aboriginality is as much a system of lore and living and traditions to those who know what they are talking about when they say the word 'culture', as it is about genetic lines. It is not skin colour or who you happened to be born to or from that gives you authority. It is far, far more complex than that. In their world, I have no respect or standing, and rightly so. Our worlds are completely different and to ignore that is nothing short of being disrespectful. I'm far more 'whitefella' than 'blackfella' in their eyes. The thing is, if you asked 100 people who identify as Aboriginal and another 100 who don't, from all walks of life, to answer the question 'who is Aboriginal?' honestly, and without fear of reprisal or judgement (and they're not allowed to use the 'safe answer' of the three part definition), you will probably get a wide range of answers - everything from fitting into the categories above, halfway between one and another, to those that could make other categories completely. When I've posed this question over the course of my life to all kinds of people, I've gotten a huge variation in responses. All I've learnt is there is no one definition that is agreed upon amongst all people who consider themselves Aboriginal. If you ask me what being Aboriginal means to me, I would say it means that I am always identified by others as Aboriginal - that is the first thing that a question like that prompts. Second, I would say that it means my parents were of only Aboriginal heritage, as were my Grandparents, Great-Grandparents etc, therefore I am the sum total of my ancestry in that respect. I am secure in myself enough to be well aware that I am more than my appearance, but it is often the first thing others notice about me, and frequently employed in any description of me to others. I'm judged more often than not in new social situations by the previous interactions with others of my racial group. I often come without a clean slate, and have to overcome long held fears or beliefs before I can begin to build a relationship of any substance with a great number of people. They are often not racists, but rather, like me, their experiences or what they have heard or been taught have helped shape their view in a way not always approved of. They are cautious of me because I'm from the same racial group they just watched on television, where some reporter filmed an Aboriginal man and woman drunk and fighting in the main street of town with the voiceover telling them this is nothing new or exceptional. They're frightened because I look the same as the people who John Howard came on television to explain were neglecting and abusing their children in record numbers. They seem wary of me because they know that Aboriginal people are over-represented in our jails, and jails house people who have committed crimes. Possible criminal by default - proceed with caution. On the flipside, you get people who want to use you to demonstrate just how much their first year Indigenous Studies Professor has taught them about "my struggles". They tell me "you're a true Australian" or loudly exclaim that they "support the First People like me in their just plight against the white man" or simply must tell me about some rally they attended to "make a difference". Want to know the difference between the first group and the second group? With the first group, those often branded as 'racists', I often find that once I open my mouth and start talking, and they hear that I speak no differently to them, and am obviously educated - most times we find a common ground on which to start a friendly conversation and like magic, they stop seeing the black skin and treat me like an individual. The latter group, however, more often than not, never seem to stop being able to view me as a victim or as anything other than an Aborigine. They speak to me like I'm an idiot, that because of the colour of my skin, I was discriminated against in education and therefore lacking against their University educated prowess so they must make concessions for me and expect a lower standard of me at every opportunity. They seem to believe that I am unaware of how the modern world works, or worse, believe I need some of their do-gooderness to overcome a disadvantage that I clearly don't have. I'm a cause, not a person to them. Based on my own opinion of Aboriginality, my children have part Aboriginal heritage. They live with me in the suburbs (they visit but don't live on the land their Aboriginal ancestors did), speak only English, and therefore, to me, they are 'less' Aboriginal than those children who live a traditional life, or have heritage that is solely Aboriginal. I want them to have pride in the ancestors, but not selective pride. My kids have a white history and family that is just as large as their black family and black history. To pretend they don't, that they are only a singular racial background or identity, is not appreciating all of what contributes to making them who they are, and in turn, insults good people who have always loved them unashamedly (as do my children them) - whose only 'sin' worthy of such treatment is apparently being white. That my children are 'less' Aboriginal than some others in my eyes is not really the important argument in the entire debate. It is not about whether they are part-Aboriginal, or part-white, or seen as one or the other, but whether having Aboriginal ancestors in itself makes them disadvantaged to the degree that other Aboriginal people in certain communities are. I can't in good conscience say that they have it anywhere near as hard as many people I know who just happen to share their racial background. Disadvantage is about circumstances, not genetics or racial identity, even if one racial group has statistically poorer outcomes than another. It is not 100% of the group suffering, yet we continue with race based funding rather than needs based funding in an effort to alleviate this suffering and disadvantage. All the while we're happy to pretend that there is no harm done by acting in this way, and ignore the fact that to provide benefit to one race exclusively, based only on the fact they belong to or identify as belonging to that race, is in itself 'racism'. That kind of racism, we're apparently happy to suffer. Other types, not so much. Racial politics are difficult. Even for me, its often a fine line to walk. If I do not mention my heritage, I am accused of somehow being ashamed of my race, when the reality is, I'm proud to have the heritage I do. I'm proud because I'm descended from some great people who did great things. The thing is, that heritage makes up only a small part of who I am as an individual and a person. I'm many things that I'm very proud of - an Aussie, a father and husband, a carer, a lover of Rugby League and old Kingswoods - as well as being of Aboriginal heritage. I'm no poster child for the Aboriginal disadvantage and suffering we are sold as being necessary to ask no questions about where race-based funding is spent, or how it is divided up. If anything, people like me are the reason we should ask hard questions and not shy away from debate on this topic. The two on the left are smiling because they've not long returned from Harvard. The two on the right are smiling because they're about to depart for Oxford. These three (excluding of course, the not-for-much-longer PM) are smiling because they're off to Oxford & Cambridge. And yes, they're all Aboriginal. All helped to achieve their dreams and more success than they imagined by the generous people at the Roberta Sykes Indigenous Education Foundation & The Charlie Perkins Scholarship Trust, with help from the faithful taxpayers of course. Both organisations make some pretty high aims. Some of them I even agree with, like needing more positive Aboriginal role models and mentors out there, however, I disagree with having an overwhelming majority of white faces cast to play those roles. That is not to say that each of those people in the photo above won't be a great role model due to their achievements and efforts for their own family, or their friends, but a nationwide beacon of hope to all Aboriginal people? You can't even hope to claim such a thing is true. What these opportunities have done is help these specific people. Not all Aboriginal people . We have no end of Doctors, Lawyers, Academics, Artists and Authors who identify as Aboriginal, however - it seems a smaller and smaller number of those are easily identifiable as Aboriginal - and therein lies the difference. Whilst someone of a similarly fair complexion who identifies as Aboriginal may be able to look up to the group above and see one or more of them as someone whose achievements they can aspire to, that is just not the case for me. Perhaps, what is most disappointing, is the fact that when we question this lack of black faces among those receiving assistance in the name of Aboriginal Equality, we're called racist, or perpetrators of Lateral Violence. Whilst taking part in the 'Aboriginal or Not' SBS program, Greg Lehmann stressed the point that those of us questioning the motives of those like him were guilty of Lateral Violence and responsible for much of the infighting amongst Aboriginal people. A pretty comfortable position to take when you're on the blackfella dollar at Oxford, bruz. 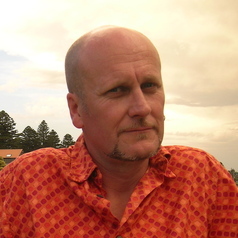 Similarly, Kyle Turner, recipient of a scholarship in excess of $50,000 for Aboriginal students, wrote a piece denouncing any questioning of heritage in a piece in The Global Mail in August last year, using the tired line of 'Bolt is a neo-con', rather than address the questions people like Bolt have even raised. It is just easier to keep labelling people I guess, as engaging in a dialogue on the issues may just bring to the surface some uncomfortable truths that cast some of us in an unfavourable light. But who is that helping to succeed? Let's look at the local cohort of Indigenous Barristers here in Victoria. Or have a gander at the Board over at the Australian Indigenous Doctors Association. What gaps have we closed again? When I was born in 1973, my parents were only 18 years old - and I was their third child. Before I was 2 years of age, my brother, sister and myself became foster children. My brother and I were sent to live with a white couple, who by this stage were also taking care of several of my Aunts. My sister was fostered and eventually adopted by the brother and sister-in-law of my foster mother. But don't be sorry for me. That white couple, I call them Mum and Dad. And I couldn't have asked for better parents to raise me than the two people my father and Great-Grandmother (Nan) chose. Dad was a hardworking, big hearted bloke, and Mum was a larger than life woman, who'd always wanted to have children, but after several losses was told that it was never going to happen. Thankfully, fate stepped in and our worlds collided. Her best friend was employed as the Nurse at the Lake Tyers Aboriginal mission, and introduced Mum to my Nan, who instantly fell in love with her. Turns out they were the answer to each others prayers. My father was the eldest of a large family of 9 children, and by the time I was born, his mother had already passed away at the ripe old age of 35 - close to two years before I even arrived in the world. Before I would have my first birthday, his father would also be dead, aged only 40. After the passing of my Grandfather in 1974, my Nan, now 64 years old, was left to care for her grandchildren - three of them still under the age of 10. Adding to her headaches, my parents weren't doing such a bang-up job of things (very young, both only knowing mission life and having three young kids, I can't say I'd do better) and my Nan again had to step in. I'm grateful that my Nan could see the value in education, as that is what she hoped to achieve for us by sending us to be cared for out in the 'white world'. She wanted the opportunities and a life for us that she knew would never be afforded to us if we stayed on the mission, and so, along with my father, made what would have been one of the hardest yet most selfless decisions of her impressive life - and sent us to live with a couple she had grown to love and admire for their generous hearts and kind souls. My father and my Nan were regular visitors to our house while I was growing up, as were most of our extended family. By the time I was about 8 or 9, my parents had 12 foster children (including me) - all of them Aboriginal and all of them related to me. I had cousins, Aunts and my brother living in the same house, and whenever another carload of relatives would turn up to visit, the doors would be flung open and everyone was welcome. Each and every holiday, we would have a full house and then some, and there was always lots of laughter and love in the house. We had the kind of childhood that you see in the movies, we celebrated 'Unbirthdays' and even had our own special song to go with them, had regular 'Scare Nights' as most of us were horror fans, and got into everything festive and seasonal. Mum and Dad did all of this on a tight budget, and I watched them both go without time and time again to make sure each and every one of us had what we needed first. Dad worked long hours as a pump jockey, and never complained. I remember one day he had an accident at work and burnt his leg quite badly with LPG gas, but he refused to even take the afternoon off work, hopping around on one leg to fill other peoples cars with petrol because he had 12 hungry kids to feed. Mum was a financial wizard who knew where to find the best bargains and stretched Dads pay packet out to get value from every cent. We never went hungry, we always had a warm bed to sleep in, and there was always a hug and the door was always open. But it wasn't always sunshine and roses. Two white people and a large brood of black kids tend to stand out. Often for all the wrong reasons. I don't know how we came onto their radar, but after finding out about us, one of the local Aboriginal organisations began making noise about our situation. They were unhappy that white people were fostering Aboriginal children, and wanted us removed from their care. We were reported to Welfare, but thankfully the world wasn't yet gripped by Stolen Generation hysteria, and when they found us to be well fed, clean and healthy, wanting to stay and very much loved, they had no grounds to remove us. This didn't stop the cycle repeating several times over, and by the time I was in my teens, Mum had a thick folder full of letters from Welfare - all typed up on blue paper - all the result of people who cared not for our situation or our welfare, but were simply horrified that the people providing exceptional care to us were, shock horror, white. I was never denied my culture, in fact, my parents did everything they could to keep us connected and proud of who we were. My father was a regular visitor to our house, and he and Mum built up their own special connection, one that endured for decades and until death. He called her 'Mumma Dawn' and she had a multitude of nicknames for him, 'Peanut Butter' being one of the favourites. My mother was quite a different story. I only remember one visit from her, when I was about 8 or 9. My Uncle had brought her down to see us, but when they pulled up in the driveway, she didn't come inside the house. I was told to go out and see her, and we mumbled a 'hi' to each other before I invited her to come inside. She stayed firmly planted in her seat and told me she wouldn't go inside the house, not with those 'white c**ts inside'. I remember feeling angry, and I said to her 'those white c**ts are looking after us kids and you don't even have the decency to come in and say hi'. I told her I didn't want to see her again if she was going to be like that. I didn't see her again until I was in my 20's. An encounter in a hospital entrance - I walked straight past her and didn't recognise her. My brother had to point her out to me, and I introduced myself to her like a stranger 'Hi, I'm Dallas, remember, your son?'. The only response I got was 'Oh...hi'. Awkward silence ensued and I left shortly after. She died about a year later, and took with her all the answers to all the questions that seem to amount to little more than Why? Mum & Dad lost friends, and even family, over their decision to foster Aboriginal kids. Mum had a sister who lived just around the corner from us, but I never met her. When Mum began fostering, she just disappeared. Another sister almost completely ceased visiting her, and when confronted as to why, she revealed her husband 'doesn't like Aborigines'. After his death, when she still didn't visit, we all realised what was really going on. Mum never had time for the mind games though, she was a very no-nonsense woman and people quickly came to realise that if we weren't welcome somewhere, Mum wouldn't go either. Right up to the final years of their lives, they fostered Aboriginal children. More than 40 all told, some short term, but most like me, children they raised from infancy to adulthood. When I lost them both in 2009, I was gutted. The two people who had given me everything in life and asked for nothing in return, the people who had always been there to guide me, to provide everything in a role model I could ask for and then some, were gone. I will be forever grateful that I had the privilege to call two such incredible people Mum and Dad, and eternally thankful for all that they have done for me. I wouldn't be here, writing this today, if not for them. **This has been a difficult post to write, and rather an emotional experience - but one I feel is necessary. I want people to understand that great foster carers come in all colours - and I believe it would be nothing less than a tragedy for the current thinking of 'Aboriginal kids need Aboriginal carers' to be allowed to gain any more traction. Kids need good carers, loving carers, and dedicated carers, and sometimes, the best person for the job will be a white person - and that is definitely not something to fear. More than a year ago (July, 2011), I went and had a meeting with Patricia (Pat) Ockwell. Pat Ockwell is a special kind of Self-Appointed Elder, and it is good to be her friend. Pat is a tireless Volunteer in her community. In her position at Victorian Aboriginal Housing, she has helped many of her friends, family, and, even herself, to the best stock in the roster. I'm sure when most people think of 'Aboriginal Housing', the brand new, modern units you see in the photo above aren't what first comes to mind. But that is what special people like Pat get, and although Aboriginal Housing Victoria have large numbers of homes that are old and poorly maintained, they save those beauties for the rest of the applicants who aren't related to the hierarchy of the Board, or friends with them. I'm definitely not on Pat's friend list. She was the person who was sitting with me (in one of her many roles, of which my favourite was where she was given the tile of 'Respected Elder' - which admittedly would go great on a business card) when I filled out my 'Proof of Aboriginality' application, only to wind up being rejected. Despite her constant assurances during our meeting that she knew my family well (in fact, she made the statement 'you can't be a Victorian Aboriginal and not know who Charlie Carter (my paternal grandfather) is! '), and would vouch for me at the Board meeting, something went wrong. That something, was a long friendship between an Aunt of mine (with whom I'd fallen out in 2009), Pat, and another board member at DDAC. The same day I asked to apply for my Aboriginality, other family members attended the same Co-op and despite the fact I didn't waive my right to privacy, they were informed of my visit and future application by a DDAC Chairperson and Board Member. At this point, my estranged Aunt told her good friend, 'don't give him what he wants'. I cannot say for certain whether my Aunts input was what led to my application being denied and then locked away in the CEOs' office for months, but, having watched this particular Aunt receive preferential treatment from Aboriginal Housing and other Industry organisations - thanks to Pat Ockwell and her friends - over many years, and in the absence of any believable alternative explanation being forthcoming from the organisations and people involved, there is little other conclusion to draw. Unfortunately, Pat didn't end her meddling in my business there. In March, 2012, my father passed away. During this difficult time, Pat took it upon herself to manage the guest list for his funeral. I say 'manage', as that is probably how she sees her actions (and how she manages to sleep soundly night after night) - but the reality is far, far different. Pat didn't work a family tree and a phone tirelessly night and day to ensure no mourner was left behind, instead, she took it upon herself to publicly abuse a woman who had mentioned she would be attending. It didn't matter to Pat that this woman was related to our family by marriage, and already had been given permission to attend by the children and partner of the deceased - heck, it didn't even bother Pat that this poor young woman had terminal cancer. Pat took it upon herself during a support group meeting at DDAC to publicly belittle this woman and tell her she was unwelcome at my fathers funeral. She reduced an already suffering woman to tears, all on the advice of her good friend - my estranged Aunt. Pat did not attend my fathers funeral, and as for my estranged Aunt, she didn't even stay for the whole service and was long gone by the time we buried his body. One of the last mourners to leave was in fact, the young woman who Pat had abused. Unlike most of the rest of us, there aren't many consequences for bad behaviour in Pats world. Although she undertook her tirade without grounds, and in a venue where she is also employed (actually, scratch that, technically - and you'll love this one - she works as a Volunteer so no action can be taken against her), when I attempted to raise a complaint about her behaviour with one of the organisations she 'volunteers' for, nobody wanted to touch it with a ten foot pole. Such is the power of a Self-Appointed Elder that nobody in the Industry dares to speak against them for fear of the repercussions, and when an Elder behaves badly, everyone is encouraged to look the other way and say nothing. I've often heard the criticism that I wouldn't know what it is like to have people question your heritage, or know how it feels to have wild accusations thrown your way for your identity and skin colour, nor understand how in some mixed-race families, siblings can have entirely different skin colours. To this, I always answer 'you don't know me very well'. In June of 2007, my wife gave birth to fraternal (non-identical) twins. A boy and a girl, who have taught me some of my greatest lessons in life. They share a birthday, and the honour of being million-to-one special - the apparent odds of having black and white twins. To be honest, those odds surprise me, it is hardly unheard of, in fact, there are no shortage of stories of the same phenomenon all over. Take a black skinned father, a white skinned mother and your guess is as good as mine what colour the child will come out. The freak factor comes from the fact that when most people think 'twins' they think of identical twins, who almost always look so similar that you can spot that they are twins immediately. Fraternal twins on the other hand, come in all varieties - from those that look reasonably alike, right up to a pair like ours. From pretty much the outset, my wife and I got a lot of questions. Everyone wanted to say something, or ask a question - and not always kindly. But, it never bothered me. I never felt offended when people asked questions, even the ones like 'are you sure your wife didn't cheat on you?'. The thing is, you can choose to feel offended by something like that, or you can stop and try to understand how that person came to wonder such a thing. I put myself in their shoes. I can get that people would be shocked that they look so different - if they weren't my own kids, I'd probably find them fascinating myself and have a few questions pop up in my mind that are not dissimilar to the ones I've had more times than I can count and will probably get again many more times in the years to come. The trick is not to allow yourself to get a persecution complex. You see, the reality is, those people go away, live their lives, and I live mine. I can't control what they think, and nor do I care to do so. I know who I am, I know the life I have lived and feel secure in who I am. I don't need someone else to verify who I already know I am, and that is how I am raising my children to view their own sense of self. Along with knowledge of their culture, I am responsible for giving them a strong and true identity. This means understanding and accepting the fact that they are both part Aboriginal, and part 'dysfunctional white people' (my wifes contribution when asked how she'd like her family described in a few words) in heritage, but 100% Australian. I look for neither child to have acceptance by some mystical 'Aboriginal community' that supposedly encompasses every person who is Aboriginal or of Aboriginal descent. No such thing exists, and they are accepted into the only community that counts, family and our circle of good friends. All that really matters in the end is that my black skinned family don't shun my white skinned son, nor do they favour or treat specially my dark-skinned daughter. My wifes white skinned family, the same. If either side were to behave otherwise, they'd be booted from our inner sanctum. Our children are special as individuals and when you look at them all the time, believe it or not, you stop noticing the colour difference. This year, both children have started Prep - their very first year of school. Unfortunately, they are at two different schools, about half an hours drive apart. They are not separated because of colour, but, because of that all important word - NEED. My dark skinned daughter is doing just fine in a wonderful little semi-rural public school (she is quite the social butterfly and already has a best friend), my white skinned boy is making incredible progress at the closest special school to our home that is equipped for his needs. Neither is disadvantaged simply because they have an Aboriginal father, and I'm on a mission to stop anyone who wants to try to fill either of their heads with such rubbish. They are not a stereotype, in fact, compared to the poorest Aboriginal kids in Central Australia and parts of the Northern Territory, they are incredibly well off and very lucky. How many kids out there with special needs have access to the type of care that my son gets? How many kids out there have parents that make sure they attend school with a packed lunch every single day? What percentage do you reckon have parents that are even functionally literate? The children you see above get three full meals every day, and always have clean clothes to wear and sleep one to a bed - not 3 or 4 to a mat on the ground. We have access to good doctors and a hospital with tertiary facilities within half an hours drive. We have all the major supermarket chains within walking distance to buy fresh food, we have access to multiple types of public transport (trains and buses), and although my local police get a bad rap from time to time, I am certain that if I ever ended up in their cells (and I have seen the inside of a drunk tank more than a few times in my younger, wilder days) I'd walk back out alive. Most importantly of all, my kids have me to protect them from all the horrors many of those children who are suffering for little more than an accident of birth (being born into a disadvantaged and dysfunctional Aboriginal family is nothing we choose) endure - the threat of physical and sexual abuse. Those who know me well or have much to do with me are well aware that my family is my life, and that if they harm my children, I will kill them and happily serve jail time for it. I've never made a charitable donation to an Aboriginal organisation, however, should Shane Mortimer win his $6 million dollar lawsuit for damages against Professor Don Aitkin, by his words, it looks like I'm going to do so by default. "Mr Mortimer's damages claim included personal damages of $500,000 and $5.5 million to be paid to the Agriculture Arts Residency Kenmore, of which he was chairman. He said $5.5m equated to $10 for each indigenous person counted in the last census." I could think of many better non-profit organisations than AARK that I would donate money to if it were up to me, but, apparently it is ok to count me in the numbers to get your cash, but not ok to get a general consensus first on whether I, and the other Indigenous Australians you are so generously tin shaking for, approve of what you spend it on. For the record, I don't. If you want a massive cash injection into your organisation, this is not the right way to do it. How much did AARK pay Gregory Fergusson for his paintings? Does iArts stand for 'Indigenous Arts', just as the Iagriculture page was titled 'Indigenous Agriculture'? Or did the fact you only had artworks from a non-Indigenous artist on your iArts page make that a bit difficult? Aside from all of the above, I'm also curious about Shane Mortimers claim to be an 'Elder'. I was reading another article today where it mentions that until he was 34 years old, he was not aware of his Aboriginal ancestry. I have several relatives who refuse the title of Elder, many the same age as Mr Mortimer, all adamant that they cannot be called Elder, as they missed the appropriate initiations at the relevant ages. In this age of self-appointment, I admire their respect for our culture in its original form, and it is for this very reason that I will never acknowledge Shane Mortimer (and others like him who find their Aboriginality much later in life - such as Mick Harding or Gloria Whalan) as being an Elder. Loss of your culture is never an excuse for such denigration of those Elders whose titles were given to them in accordance with traditional laws and practices, and by placing yourself in a category with people who have had to prove themselves to their peers, undergo rituals, prove their worth in and among their people and rise to such a position over many years, that is exactly what you are doing. I tend to view self-appointed, so-called 'Elders' with an especially grim outlook when I see they are also guilty of another common lure - the 'cash for ceremonies' crowd. Thankfully, I've never been forced to sit through a Welcome to Country, but I imagine if it ever happens, it wouldn't be a pretty sight. I would probably walk out unless I could be assured of two things - 1) That the person performing the ceremony was truly appointed by the local people as their representative to perform such things with their permission (this is often NOT the case) and 2) That if a fee were to be charged, that the fee go to a fund or trust where ALL the local Aboriginal people (whose land it is performed upon) can gain benefit from it. If it were a performance by Shane Mortimer, by my own rules, I'd leave the building. I wouldn't walk completely off the property though, I'd stick around long enough to ask the man who also gave himself the Twitter handle of, wait for it - 'AboriginalElder' - a few questions. I'm not a big Mundine fan, but I feel quite a bit of sympathy for the bloke right about now. Not because he lost to Daniel Geale in the much hyped fight after his comments about Geales Aboriginality (or perceived lack of Aboriginality), but, because he had to deal with the holier than thou media reports in the lead up to that fight (as well as post fight) that were highly critical of his comments, whilst holding Geale up equally as both a poor, poor victim of a mean and nasty racist while at the same time, parading him around as the supposedly 'better man' for holding his tongue and not sinking to those apparently racist depths of mentioning colour and Aboriginality in the same sentence. "according to Geale, Sheena has more Aboriginal blood in her through her father's NSW-born, Koori-descended father than Mundine"
Now, I may not have the great legal mind of Ron Merkel, but I'm thinking there's a court case going begging right here. Considering Anthony Mundine has two parents he can trace his Aboriginality through (his father Tony as well as his Bundjalung mother Lyn), whereas Sheena only has a 'Koori descended father' (which to me always implies the climb up the family tree to a blackfella who is actually, well, black - is a long one). Not only is Sheena incorrect in her statement, perhaps to a level lending her to be accused of defamation, but also, the way it is said is, well - offensive. I have to admit, it would be reasonably likely for Anthony Mundine to be offended by such an obviously untrue statement being bandied about as fact, especially when it is racially motivated. Somehow, I don't think a court case will be forthcoming. According to the Double Standards Bureau - Mundine mentioning Aboriginality (or perceived lack thereof) = bad, Geale doing exactly the same thing = good. According to the wise Ruth Lamperd, who wrote the offending article not only without the most basic of fact checking, but also, apparently without the intestinal fortitude to note the stunning hypocrisy of what she was churning out. In Ruth world, Geale is a 'gentleman' and Mundine, little more than a 'bragger'. Add in the Phil Rothfield article, a so called boxing fans rant going viral, an Age article that brands Mundine as a bad loser and an idiot, and you have the scene painted. He's the guy we must now hate for daring to speak his mind. In addition to the rabid media coverage, his Facebook page has been filled with nasty, hateful comments that questioned the heritage of his mother and referred to him repeatedly as a c**t (along with plenty of other foul language) and one bright chap who told him to 'go eat a witchetty grub'. 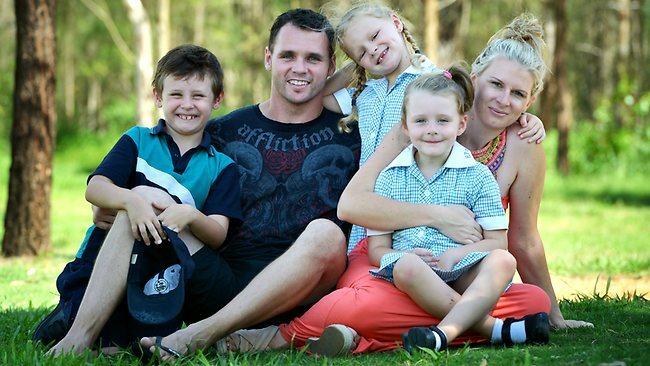 Long before all the comments about Aboriginality, Geale was hoping for just this kind of boost to his public image. Until all this drama, he was quite the Neddy Nobody. Sure, boxing fans may have heard of him, news reports may have carried his name buried deep in the sports section long past where you've tuned out, but, he was in effect, unknown in the greater scheme of things. Definitely not what you'd call a household name. His meteoric rise was to be assisted by the usual hacks only too happy to scream 'racist' for a few dollars and some space online. When I look at the photo above, the first words that pop into my head aren't 'Aboriginal family'. They'd fit perfectly well into a K-Mart catalogue - the last place I see people of stereotypical Aboriginal appearance. I can see how Mundine missed the Aboriginal blood in Sheena and referred to her as 'white', being that her skin is, well, white, it was an easy mistake to make. Unfortunately, despite lots of stories to the contrary, blackfellas can't spot the 'undercover brothers and sisters'. If such nonsense really were true, the same 'undercover brothers and sisters' wouldn't be shouting constantly about how offended they are when 'other Aboriginal people' question their statement that they are Aboriginal. You don't exude an unseen vibe, nor does my magic spirit guide tap me on the shoulder and say 'look over there, its cuz' as you walk past me down the street. I also am unable to tell the difference between a non Indigenous activist with blonde hair and blue eyes who is wearing an Aboriginal flag pin to show solidarity with Indigenous people on social justice issues, and a blonde haired, blue eyed person of Aboriginal descent who wears that same flag pin to show everyone that they are, indeed, of Aboriginal heritage. How many people featured in the 'Aboriginal Memes' craze looked like Daniel, or for that matter, Sheena? You remember the ones, mostly men who were obviously Aboriginal with charming little jokes plastered across their faces revealing their secret fetishes for metho, wife-beating and child abuse. I saw two blokes who were dead ringers for Uncles of mine, but nobody like Daniel, nobody like Sheena, and even more surprisingly, nobody like Bindi Cole, Geoff Clarke or even Anita Heiss. I don't care how many reporters in Australia thinks Geale is an excellent role model for Aboriginal youth - simply saying so doesn't make it a fact. As much as those same reporters bag Mundine as being a poor role model for Aboriginal youth, they only succeed in showing how little they know about what he has done. Mundine has made plenty of mistakes in his life, shot his mouth off more that is no doubt wise for a public figure, but he continues to be at the coalface to talk to those kids who otherwise would be at the greatest risk of becoming just another petty criminal on our streets. The kids whose parents don't care, the ones who if not for his boot camps, his taking an interest, would be on the streets right now, robbing your house or stealing your car. You might not like his method, you might not like his antics, but he does care and he does put back in, all the bloody time, and for all his failings, I wish I'd had a bloke like 'Choc' around when I was a young fella. You see, I've been a black kid in foster care and I can't tell you how good it is to have someone who knows what its like to wear a 'cloak of colour' you can't take off, a heritage that shows on your face and isn't always well received by the rest of the world, but still tells you not to accept less of yourself, and that you're worth something - and to be PROUD. It has been a few months between my less-than-regular blog posting efforts, and unfortunately I can't promise that I'm permanently back on deck either - internet is a luxury in our house so I always try to make the most of it when I have it.